When visitors arrive at the home page of your website, are they able to quickly and efficiently find what they’re looking for? Or do they become confused and frustrated – because they can’t easily figure out exactly what you do or how your website is structured and where to look for the information they need? Jobs to be done. What tasks or “jobs to be done” do visitors have in mind when they come to your website? What do they need to accomplish? What questions do they need answered? Are they seeking product education? Make a list of these popular tasks, and then rank them in order of importance. Next, brainstorm ways to make relevant resources more visible on your website. Your goal is to help visitors find what they need in as few clicks as possible. Economize on home page features. Don’t overstuff your home page with every article, tool and resource you can think of. That will only confuse visitors. Ideally, the design of your website should visually guide visitors to the most important content and resources. What does your firm do? 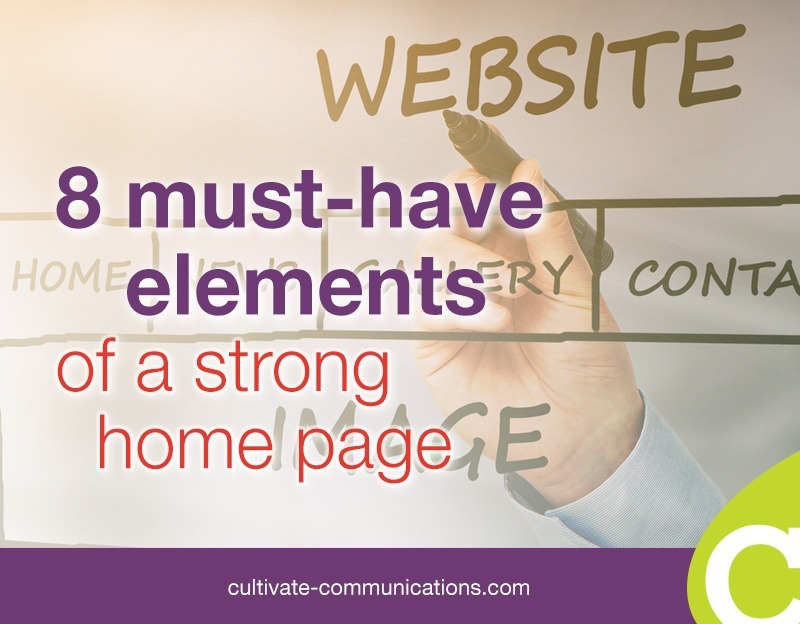 Your home page needs to communicate that quickly, in a matter of seconds. If your home page confuses visitors, they will quickly click away from it. Clear and unambiguous website navigation. Visitors should be able to quickly discern how your website navigation works. It should use terms that your target audience knows and understands. When it comes to website navigation, ambiguity is a big problem. Seek to eradicate it at all costs. Responsive design. Is your website based on a responsive design that adapts to a variety of mobile screen sizes? If not, you should make this a high priority. In many industries and markets, the majority of website visitors are already accessing company and product information via mobile devices. The time to adapt your website’s architecture is now. Hero image. This is a large image, frequently located just below your website’s masthead and primary website navigation. The best hero photoshots perform a gatekeeper role. In other words, they inspire the audience you want to attract to explore further. Ideally, it should also encourage the people you don’t want to attract to leave your website. Contact information. Your website’s home page should contain easy-to-find contact information, either in the header or footer. Nothing is more frustrating than visiting a website and searching in vain for an email address, contact us form or office number. Shortcuts to the best stuff. Give your website visitors a way to quickly navigate to your most popular and most valuable content. Why not use this list as a “report card” for your website. How does your website rate? Where do you need to improve?